Last September we were thrilled to host Matt Blashaw and DIY Network’s Yard Crashers. It was such an exciting time around here and now we are gearing up for the episode to air nationally. On this episode of the Green Thumb Podcast we finally sat down with the lucky homeowner who won the crash of a lifetime. We were thrilled to provide all the beautiful plants for her yard— but we didn’t leave her hanging. Listen as Beverly answers all her follow up questions on the care and maintenance of the plants. 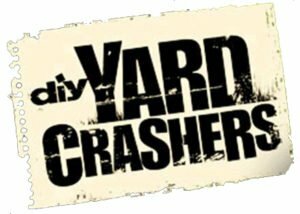 Catch the Arbor Gate on two episodes of Yard Crashers on the DIY Network on Monday July 28th. Also, come out to watch the episode on a huge outdoor screen at our Purple Carpet event on Saturday August 2!